Salam, I want to sell 10 Marla plot. All installments till now (9 installments) have been paid. DHA Bahawalpur 8 Marla are not available for sale yet. What will be total cost of transferring 1 kenal instalment plot from son to mother under Hibba transfer? What is Rate of Bahawalpur 10 Marla? Hi Hammad, You can contact me , as i am selling my 01 kanal plot. Dear All, I want to sell my 01 Kanal plot, where i am original allotee (overseas) . All installments till date are paid. What is current market of 10 marla plot. I have paid inst. Upto 31jan 17 i.e. 880000. 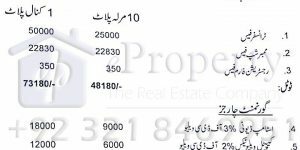 Sellers are demanding 5 to 5.5 lacs profit for 10 Marla in DHA Bahawalpur. But no active buyer in the market. 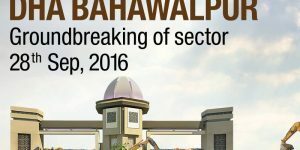 What will be the status of DHA Bahawalpur Villas balloting. will it be a good investment and how long it will to rise. Last date of booking is 4th March. Hope fully it will be in next 1 or month for ballot of applications. It will be a good investment for living. What is the current rate of 500 Sq yard plot full paid ? DHA Bahawalpur affidavit Membership Fee – 37,080 after 1st of July it will be 51,250 and member ship fee for DHA Bahawalpur installment files of 10 Marla or Kanal is 22830. After 1st of July membership fee will be 37,000 for installment files. Anyone who purchases a file from the original allotee should have to pay these ~65000 in terms of Transfer Fee? Or any of these are already paid by the allotee at the time of allotment? Any one who purchase a installment file from original allotee have to pay 62000 transfer fee and seller has to pay the 3000 Gain Tax is not tax payer.